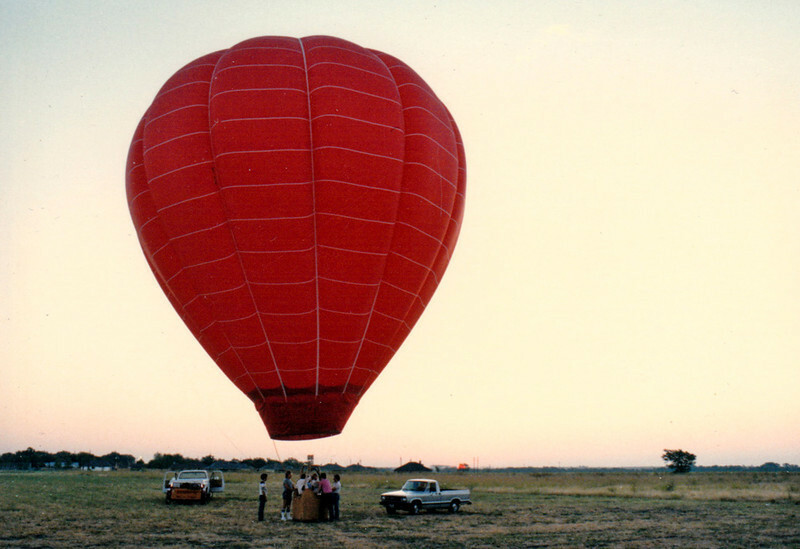 A gallery of fun shots from my first days in ballooning in 1984 until I left Dallas in 1995 and the fun stopped. (Well, that kind of fun, anyway.) I still miss the smell of propane and the tang of a chilled glass of champagne in the morning. Ah, those were the days! MORNING LAUNCH Susie-Q inflated and ready to launch.